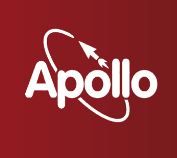 Mike Chambers has posted an update about Apollo on his blog. He talk about general update in the developemnt of Apollo and present a simple example of write/read file system. […]take an ActionScript object and write it out to the file system (or read it from the file system). Using the registerClassAlias API or meta data, you can even serialize and de-serialize custom classes. This makes it super simple to persist application state between sessions.